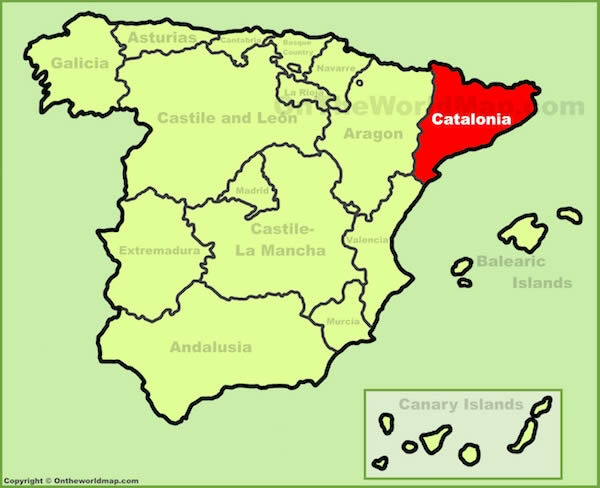 The cry going out across Catalonia is that if a far less populous region such as Scotland can hold an Independence Referendum then why are the people of Catalonia being denied the same right. 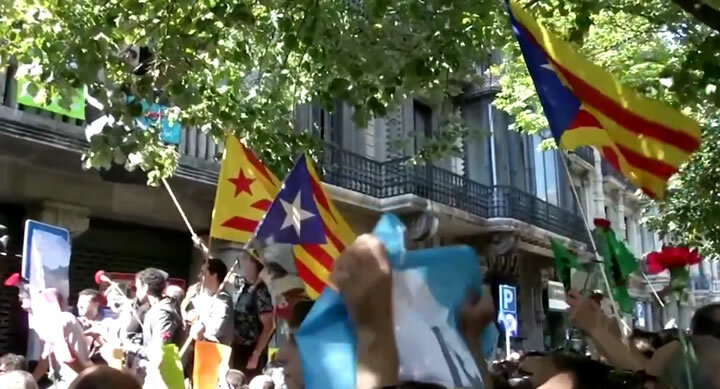 The Madrid regime instead of following the cue from Westminister which did not stand in the way of the Scottish people having a vote to leave the United Kingdom held in September 2014, the Spanish regime has instead decreed that the people of Catalonia do not have the freedom to vote for potential independence from an increasingly dictatorial Spanish state, as evidenced by the threats and show of force in the form of thousands of armed police sent into Catalonia in an attempt to shut down all political dissent and prevent today's Referendum vote from taking place. That the Catalan government and the Madrid regime looks set to continue on their current path towards greater conflict, escalating the crisis all the way until armed conflict breaks out or if an external agency such as the European Union steps in and forces the Madrid regime to back down and allow a referendum to go ahead. This illustrates the fatal flaw at the heart the European Union in that it is a Union of disparate economic, social and political states from the neo-naziesk eastern states to the pseudo democracies of Southern Europe from Spain in the West to Greece in the East, which is one of the contributory reasons why the people of Britain voted to LEAVE the undemocratic European Union that was seeking to average all states down in terms of democracy, freedom and the rights of individual citizens. Thus fatal mistake being made by the Spanish government of not allowing the people of Catalonia the right to vote for independence, for if they had then it is even more likely that the people of Catalan would have voted NO to Independence than was the case for Scotland in September 2014, which in the final days had the polls putting YES to Independence marginally ahead. Furthermore Spain is NOT an isolated incidence but is the norm for what to expect in an UNDEMOCRATIVE EUROPEAN UNION! 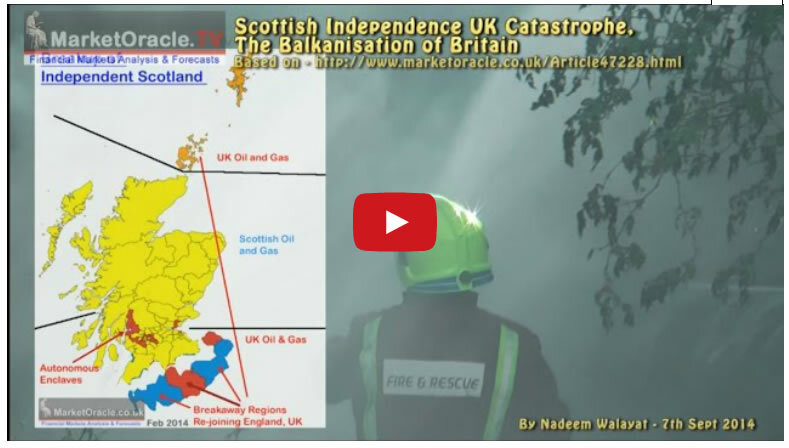 It is NOT designed or operates in the interests of the rights of ordinary citizens who seek the right for self determination, it is designed in the interests of the European Elites which is why Britain MUST succeed in exiting the European Union ASAP else the likes of the Scots will never have the freedom to hold a second independence referendum, not if the UK remains a member of the EU that seeks to consume the sovreignty of its member states towards engineering a common european union governed construct in all aspects of governance! 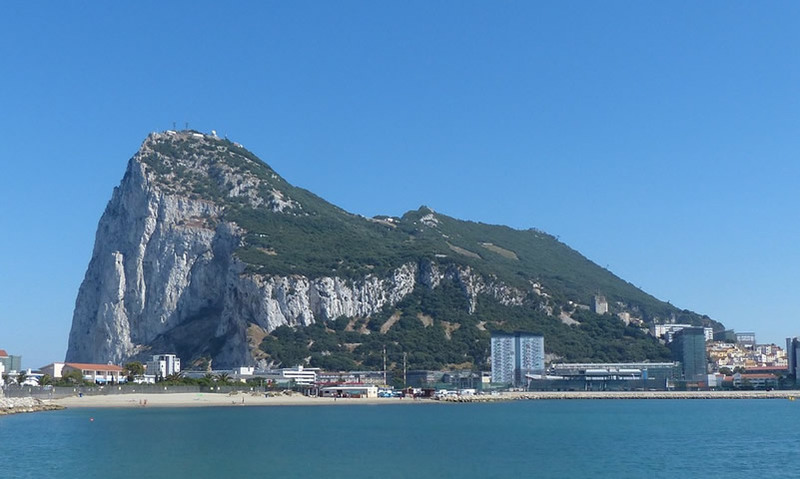 At the end of the day Britain's BrExit vote IS significantly impacting the cohesion of the European Union and member states, for it should not be forgotten that earlier this year that the EU and Spain had threatened Britain over Gibraltar. And Defence Secretary Michael Fallon stated "the UK would go “all the way” to protect Gibraltar and its people’s right to remain part of the United Kingdom." Brexit War? I know many reading this may think this to be preposterous, it's not going to happen. But remember barely over a year ago Brexit was impossible, and virtually everyone laughed at Trump, a clown that no one took seriously. 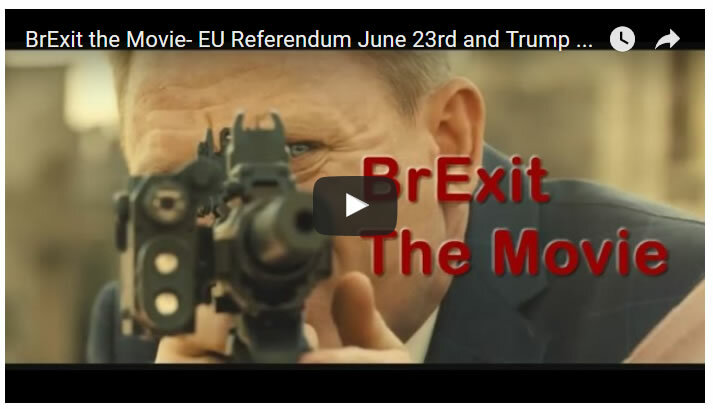 Both unthinkable events of Brexit and Trump are combining to saw the seeds of a Covert Intelligence war between Britain and the EU aided by US intelligence. Though I suspected US Intelligence have their hands full with Trump taking a wrecking ball to the White House establishment.